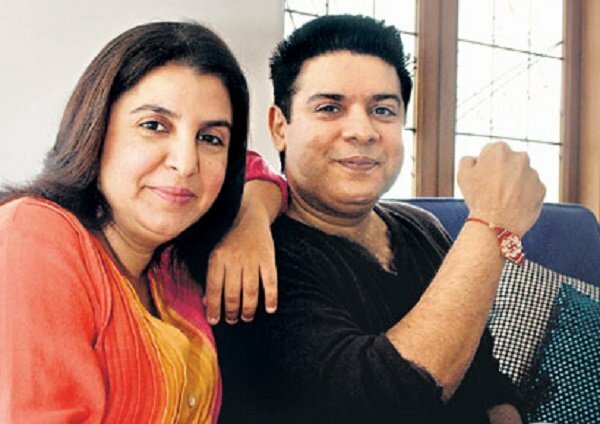 Bollywood has an old connection with the festival of Raksha Bandhan. We have seen movies like ‘Bandhan’, ‘Agneepath’ ‘Hum Saath Saath Hain’and ‘Josh’ beautifully portraying the relationship the siblings share. These movies always remind us of the time when we fought with our siblings, teased them, shown our love, played a prank on them and fought with family for them. The fact is that Bollywood has always glorified this brother and sister bond based festival in its movies and a number of songs like Phoolon Ka Taro Ka (Hare Rama Hare Krishna), Rakhi Ke Bandhan Ko Nibhana (Choti Behan) and many more. Kapoors are like the royal family of Bollywood and these are the prince and princesses of the clan. The new generation of the Kapoors has some real talents like Kareena and the heartthrob Ranbir & Karisma. Just look at the picture & you can see how much they love each other! Bollywood diva & the hunk! Arjun Kapoor and Sonam Kapoor are first cousins and obviously adore each other, which is clearly evident in this lovely photograph. They are synonyms of creativity! With Zoya Akhtar’s directorial debut Luck By Chance and the much recent Dil Dhadakne Do, we saw that Farhan Akhtar knows how to keep his darling sister happy – by being a good brother on the sets of their film! They are literally the royal brother-sister duo of bollywood and a sheer example of sibling love. They have posed together in front of the camera several times including an ad of the brand that both of them endorsed. Though both of made are well known and have their mark in Bollywood, this bhai-behen jodi have tried their hand different things like acting, choreography, hosting, etc. One of the most popular off-screen bhai-behen jodis in Bollywood! Ekta’s love for his brother is an open secret as with almost every movie that she produced, she tried to promote her brother, be it the movie Kyaa Kool Hai Hum or Shootout at Lokhandwala, giving her pivotal roles. Their rivalry was much talked about gossip in the industry, until the sister showered all her love & support on brother, Ashmit on a TV reality show. To patch up is good, isn’t it? Not an actor by profession, elder sister Shweta is a huge fan of Abhishek’s movies. She also hosted a baby shower along with mom Jaya Bachchan for sister-in-law Aishwarya Rai recently. Sweet sis, we say! This Raksha Bandan, gift some cool gift hampers to your sibling & make the day a memorable one. So, what are you waiting for? Visit http://www.archiesonline.com/rakhi now! Happy Rakhi! Rakhi expresses the beautiful bond between brothers and sisters. The bond of mischief, fun, care and love between siblings is celebrated every year on Raksha Bandhan. Gone are the days when just the brother used to think up about just the perfect gift that would cheer her sister. It’s time for a change. Let’s break the stereotype this year, and celebrate the Raksha Bandhan festival in a different manner. Let’s not burden just the brothers this year, let sisters also do the thinking. If you are one of those sisters, here’s a little bit of help we offer. 1. Mugs: What’s better way to show your love to your brother than gifting him a trendy coffee mug with a cool message? A perfect way to tell him how lucky you feel to have him in your life, this mug is sure to bring a smile on his face. 2. Watches: A must in every guy’s wardrobe, Watches are something men always love to show off. Imagine how happy your brother would be what he receives a classy & cool addition to his wardrobe from her sister. Look out for the timeless smile when he unfolds the gift. 3. Photo frames: Give your brother a reason to smile this Rakhi as you gift him the stylish & unique photo frame. A lovely way to tell him how much he means to you, this frame is sure to make him miss you every time he’ll glance at it. 4. Gift Sets: Thinking of surprising your brother on this auspicious occasion? You have got so many options to choose from! The range of our unique gifts sets will spoil you for choice this Rakhi. 5.Bar Accessories: Maybe your brother isn’t much of a drinker, but he probably has a wistful dream of creating an awesome bar to throw parties at home. Give your brother a surprise, gift him something from our Bar accessories section. We bet you will cherish the look at his face forever and it would simply make you the coolest sister in the world. 6. Men’s Jewellery: On this beautiful occasion, pamper your brother the same way he pampers you throughout the year. Instead of picking out the conventional basket of sweets, reflect the affection and love you feel for him through our stylish collection of men’s jewellery. 7. Wallet: Wallet simply makes a perfect gift for guys and also teaches them to get organized. Don’t forget to put some money in it so your brother will have good luck. By putting money in a wallet or purse that is being given as a gift, you ensure that the wallet or purse will never be empty of money. 8. Sunglasses: Shades are great for fashion-forward young guys and those who enjoy the wild outdoors, while aviators are perfect for a classy and sophisticated look. Whichever type he is, Sunglasses are perfect for a gift this Rakhi and is sure to delight him. So, this Rakhi take a step forward & make your brother feel special like he makes you feel the whole year. Happy Raksha Bandhan.